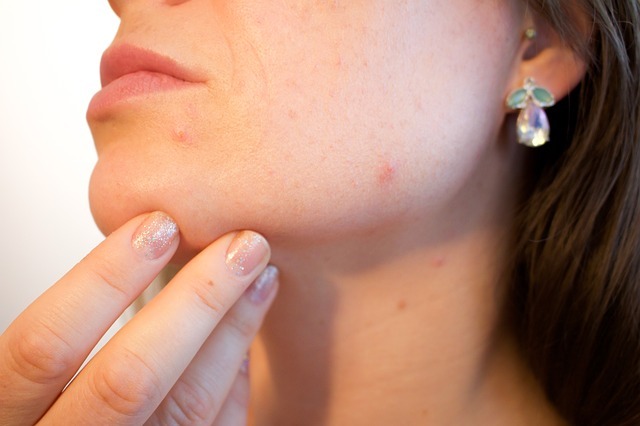 The scarring usually found on faces of many people is almost always due acne. Acne is a prevalent problem nowadays, it is more commonly found in boys than girls. 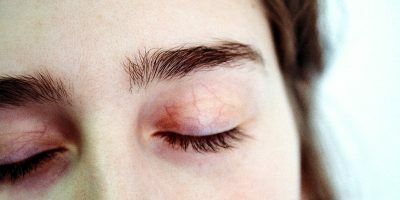 It affects people between 16 to 25 years of age, although some older people might also get acne. Some people have such severe acne that they need medical assistance for it. Acne has become such a huge problem that nowadays the markets are full of product that help you get rid of acne and the scars they leave behind. These products involve creams, facial washes, acne soaps, oils, masks etc. With such a huge variety of products, it is very difficult for one to find that one product which suits your skin and helps you get rid of acne without further breakout. By far acne soaps have affected people a lot and have shown brilliant results. There are a variety of acne soaps available in the market and finding a good one that suits your skin and gives desirable effects is such a task. Following are few acne soaps that have shown to have good results in a number of people. 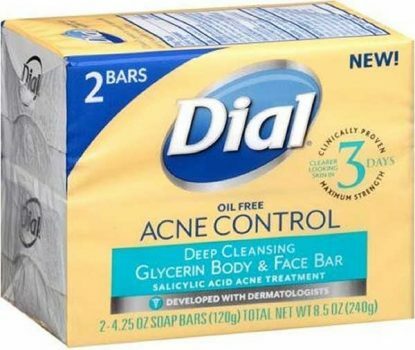 Dial Acne Control Deep Cleansing Glycerin Body and Face Bar contains salicylic acid and glycerin. Dial Acne Control Deep Cleansing Glycerin Body and Face Bar is a perfect combination treatment for acne. The salicylic acid present in it acts a keratolytic agent. This helps in exfoliation of the skin. It goes inside the skin cells and helps shedding of the top layer and helps in decongesting the pores. The Salicylic acid present in it dries the skin off which is moisturized again with the help of glycerin present in it. Dial Acne Control Deep Cleansing Glycerin Body and Face Bar also has scent in it so it leaves a deodorant effect. Dial Acne Control Deep Cleansing Glycerin Body and Face Bar is very helpful in mild to moderate acne and starts showing results in 3 days. The soap also lathers up nicely. 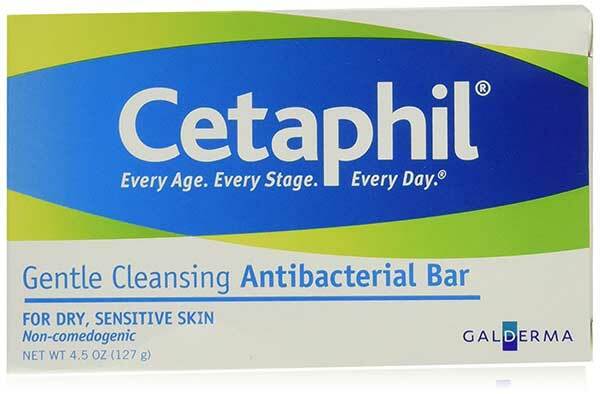 Cetaphil Antibacterial Cleansing Bar contains 0.3% Triclosan content. Cetaphil Antibacterial Cleansing Bar is also a good soap for acne prone skin. It contains 0.3% of Triclosan content. Triclosan is an antibacterial agent. 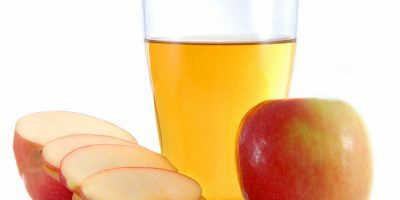 It helps in killing the bacteria which initiate acne. Previously it was said that Triclosan is not safe but new researches have proved that Triclosan when used for external purposes is fine. The smaller quantity of triclosan makes Cetaphil Antibacterial Cleansing Bar even more safe because it decreases the chances of absorption from skin. Cetaphil Antibacterial Cleansing Bar apart from having antibacterial properties also removes sweat and oil from the skin without leaving it dry. Cetaphil Antibacterial Cleansing Bar is mildly scented. Bamboo Charcoal Soap by the Healing Tree contains all natural ingredients. Bamboo Charcoal Soap by the Healing Tree is hypoallergenic and cruelty free product which contains all natural ingredients. The ingredients present in Bamboo Charcoal Soap by the Healing Tree help in removal of toxic material, excess oils and dead skin without clogging the pores. Bamboo Charcoal Soap by the Healing Tree starts showing result in a month and has helped in clearing out acne completely. Bamboo Charcoal Soap by the Healing Tree doesn’t contain any fragrance or an extra filling material which means it also doesn’t have any side effects. 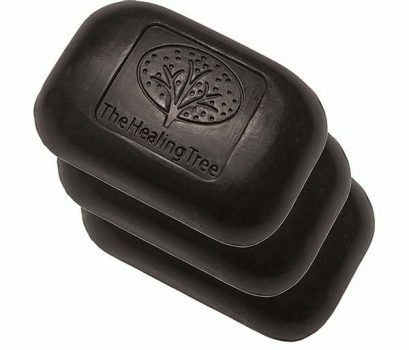 Other than helping in complete removal of acne Bamboo Charcoal Soap by the Healing Tree also helps clearing out blackheads and prevents further acne. Bamboo Charcoal Soap by the Healing Tree also doesn’t leave any oil on the skin after the wash.
Adovia Sulfur Soap with Dead Sea Salt contains 3% sulfur, minerals from the Dead Sea, olive oil and aloe vera. Adovia Sulfur Soap with Dead Sea Salt is also very good for acne prone skin. It contains 3% of sulfur. Sulfur present in Adovia Sulfur Soap with Dead Sea Salt has both antibacterial and exfoliating properties. Sulfur helps in eliminating dead skin cells and sheds off all the pore clogging cells. Sulfur also helps in drying out blemishes and getting rid of dry patches, this gives skin and smoother look and an even tone. Sulfur also reduces the spread of bacteria from one place to another thus less acne. It also helps in decreasing oiliness and refines skin texture and tone. Olive oil and aloe vera present in it moisturize the skin even more leaving it smooth and soft. Minerals from the Dead Sea keep the skin healthy and fresh. Adovia Sulfur Soap with Dead Sea Salt shows its results from the very first use and doesn’t dry the skin at all. Adovia Sulfur Soap with Dead Sea Salt is soap free and very reasonably priced for all the ingredients it has. Grisi Sulfur Soap with Lanolin for Acne has shown great results for skin with acne and pores. Sulfur present in it helps in eliminating dead skin cells and sheds off all the pore clogging cells. Other than sulfur it Lanolin. Lanolin is the moisturizing ingredient of this soap. It counteracts the drying effect of sulfur ad leaves skin smooth, soft and hydrated. Grisi Sulfur Soap with Lanolin for Acne has shown its effects from first few days of use. 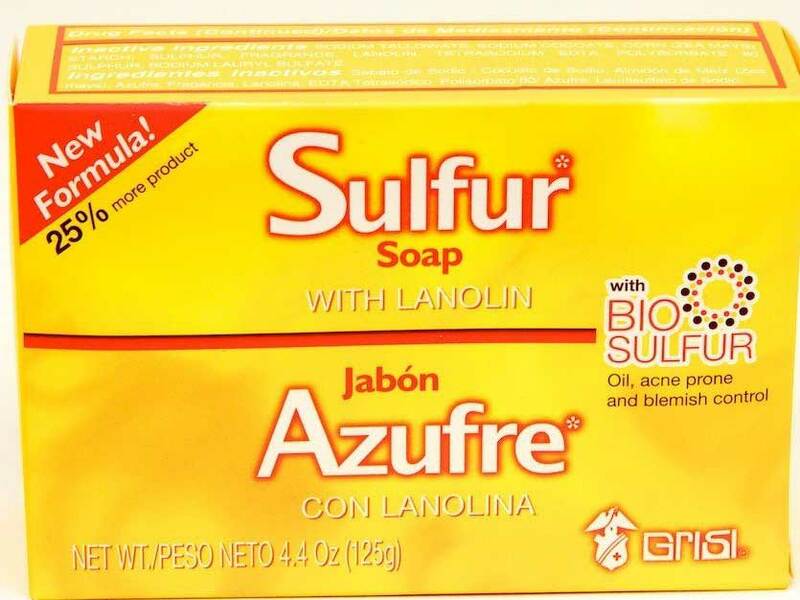 Due to some quantity of sulfur Grisi Sulfur Soap with Lanolin for Acne has smell which might be objectionable for some people.